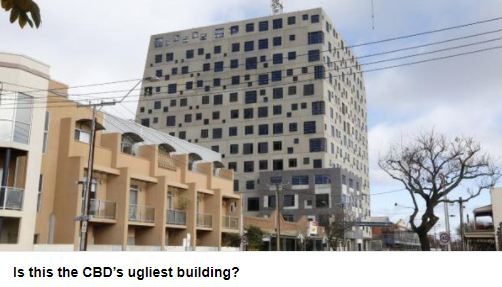 There has been a rash of bad architecture getting approval of late. This includes a recent proposal for a 34 story student accommodation tower on North Terrace which may be approved even though the state government’s own architect says this type of building does not belong there. Our beautiful heritage places and streetscapes are significantly compromised by these monstrosities which are knocked up for a quick buck to cash in on international students. What happens if the student bubble bursts? Who will live in them? Will we have future ghettos on our prime boulevard? We need to not only preserve heritage buildings and structures but also ensure that the design context within which they sit is not significantly altered. The policies which are used to make decisions are crucial elements of this process. Currently many policies can be interpreted in a variety of different ways and assigned different weightings in terms of their importance. This has led on many occasions to decisions being formed on the basis of political expediency rather than being based on best planning practices. Many decisions have been made which do not take into account the heritage fabric of a building or are at odds with heritage streetscapes. However the new Planning and Design Code may not improve matters. It is proposed that the Code apply a performance planning type of approach to development control. Where this approach has been used elsewhere it is considered to have major failings which include a high level of complexity and inconsistent application. Instead the Trust is calling for the new Code to bring back prescriptive planning policies where priority is given to the preservation of heritage fabric. 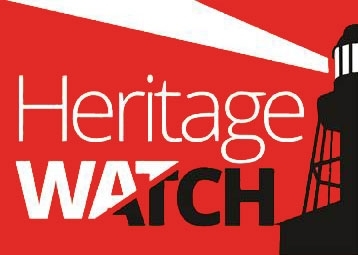 The social, economic and environmental advantages of preserving heritage must be enshrined in policy along with clear statements that the preservation of heritage takes precedence over all new forms of growth and development. It is also very important to allow the community to participate in these planning decisions through appropriate notification, consultation and review rights. Many rights have been lost as a result of the recent changes to our planning system – this situation must be reversed.